Finding a reliable and a reasonable Dulles airport transportation is quite a work these days. This is because with so many competitors out there in the market, and all claiming to the best. The problem people face is to select a better option-something that is reliable, with professional and on-time services. This is where Dulles Limo comes to your rescue. It is indeed your savior. 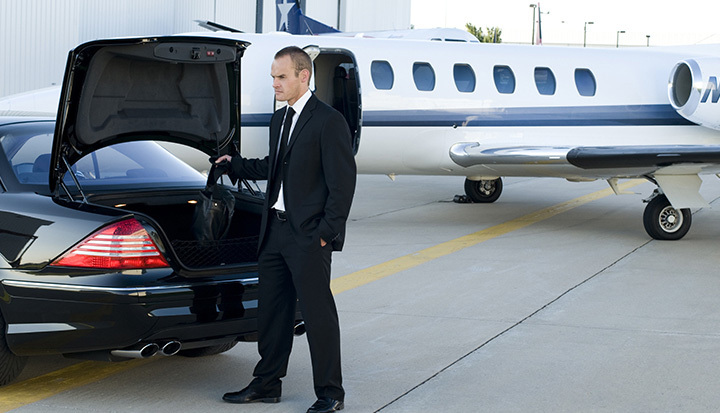 The first and foremost benefit of hiring a Dulles airport transportation is on-time services each time. So, what happens when you select their Dulles airport transportation? To explain better, let’s go through a scenario. You have a flight to catch at 2 pm and you asked the limo to arrive at 11pm so that you have enough time to arrive at the airport and board. But, it’s 12pm now and your limo hasn’t arrived. What do you do? Obviously, you call them, but what happens next? The company fails to reach their driver because of the absence of the GPS tracker. This basically means that you reach the airport late or miss your flight. Do not subject yourself to such scenarios and hire a Dulles airport transportation that will always arrive on time. A company that has a GPS tracker and are in constant contact with their drivers. Dulles limo keeps a constant check on their drivers and our staff behind the desks makes sure that all the roads to the airport are clear of traffic. If, by chance there is an accident or the weather conditions are not clear, they look for an alternative and inform the driver to take so and so. Our priority is to drop you to the airport on-time and safely. Many smaller limo firms do not give priority to the safety of their clients. Their chauffeur may or may not be well-experienced and who knows if they hold a valid driving license. Whereas, Dulles Limo always hire a chauffeur after a background check. They are free of any criminal record, plus they have years of experience and they surely, have a valid driving license. Our fleet of limos is well-maintained. They go through monthly maintenance where the engine is checked, the oil is changed, and tires are aligned. .Dulles Limo has years of experience and we have a large fleet of limos with some of the best drivers in the business. How do you judge a company? For many the answer is how the staff treats their customers. A more experienced company like us always treat our customers with respect. Our customer service and support staff are always courteous, polite to our customers. The plus point is, you can book our Dulles airport transportation or any other services at any time of the day. There are only a few companies in Dulles that offers 24 hours a day customer care, and we are pleased to announce that we are one of them. Dulles Limo has been functioning since 1988 and till date, we have been able to make our clients happy with our services. We accommodate all their needs and offer them a world class service with premium fleet of limos and respectful and professional chauffeurs. Whether, you are looking for a limo for your next corporate event, wedding or any special event- we have it all covered. We ensure to make your ride with us unique and memorable. To know more about us, visit the contact us page now and fill in the form with your queries. We will get back to you soon!